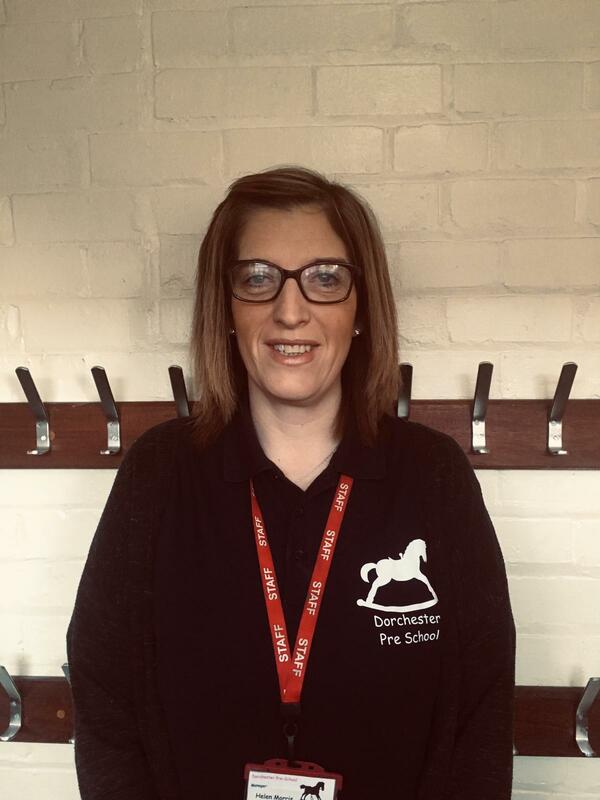 I have two children, I have been Manager of a pre-school for over 17 years and thoroughly enjoy the role, meeting new children, parents and staff. I am very passionate about my job, I enjoy that every day is different and that the children are so enthusiastic and willing to learn something new daily. They lighten up the day with chatter, smiles and happiness. I have an 8 year old son. I have worked in many childcare settings since the the age of 18. I have helped run a creche, worked in a day nursery and pre-schools as well as being a private nanny. I enjoy making and decorating cakes for friends and family. I have known from a young age that I would like to work with children. I enjoy each day with all the different challenges that come along and how each individual brings something to the pre-school. I have worked in childcare for 14 years. I am a mother of two and attended Dorchester Pre-School myself as a child. My children attend Dorchester St. Birinus main school. 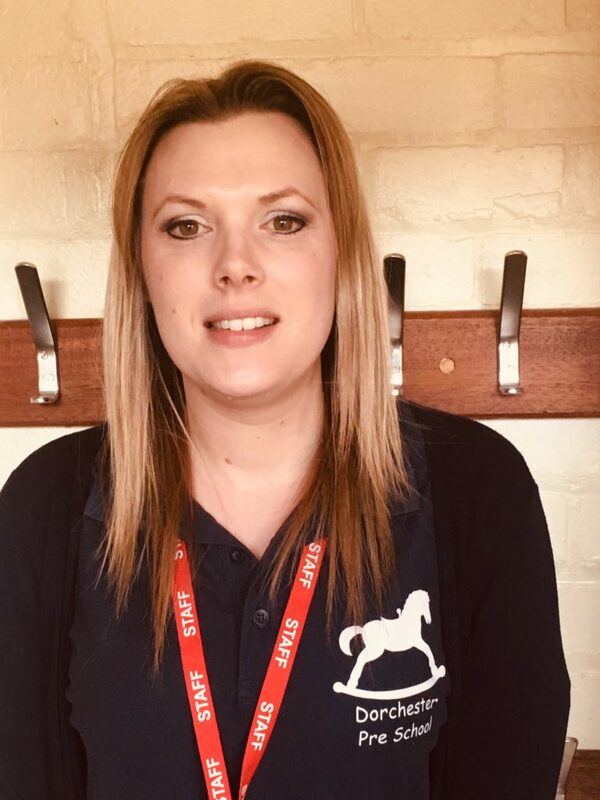 I have worked at previous settings and have been a room leader, I am creative and love to do the boards at pre-school and work as a team member. I am married and have two children. I have worked in childcare for 24 years. I am a keen badminton player and enjoy cycling. I have worked in the setting for 17 years, and over the years I have enjoyed being part of children’s learning by offering children a happy environment alongside others. I enjoy working with children, it is very rewarding to see how children grow in confidence and learn through play. Qualifications:NVQ level 3/Val is the safety officer at pre-school. 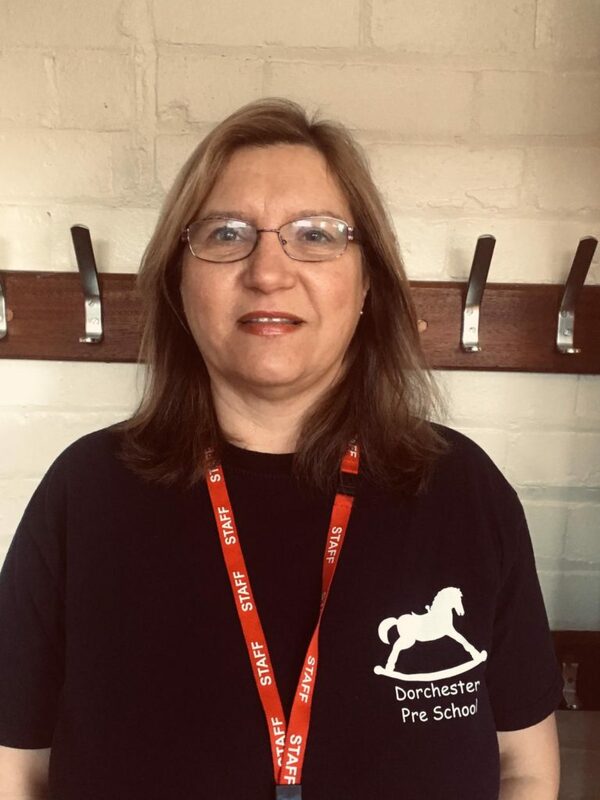 I have been at Dorchester pre-school for 15 years and have 3 children, who have attended the setting. I work well in a team and stand in for staff when needed. All above staff are qualified in Paediatric First Aid and Generalist Safeguarding training. All have taken the online Prevent course. 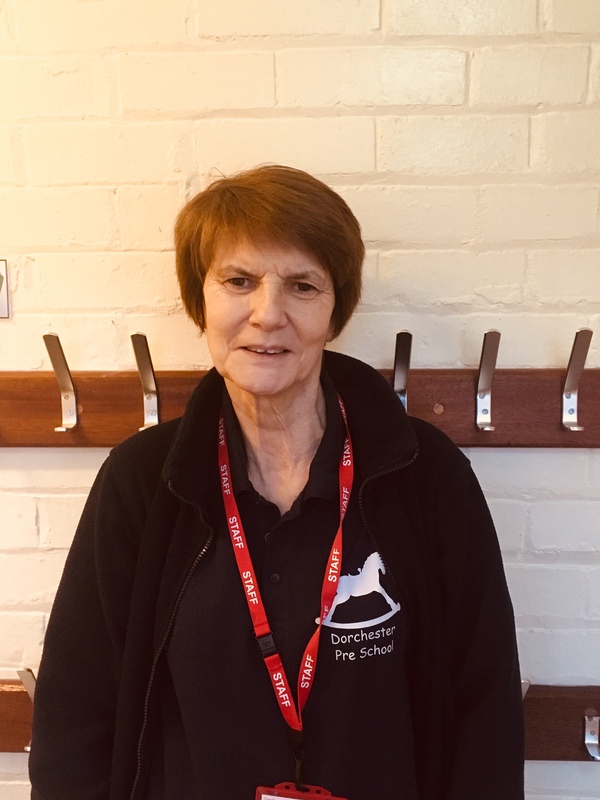 Hayley lives in the village of Dorchester on Thames and plays a part time role assisting the Committee and Manager with administration including admissions & funding. She has 3 grown up children and 6 grandchildren. Hayley occasionally covers for staff and enjoys reading to the children and talking with them about their day. 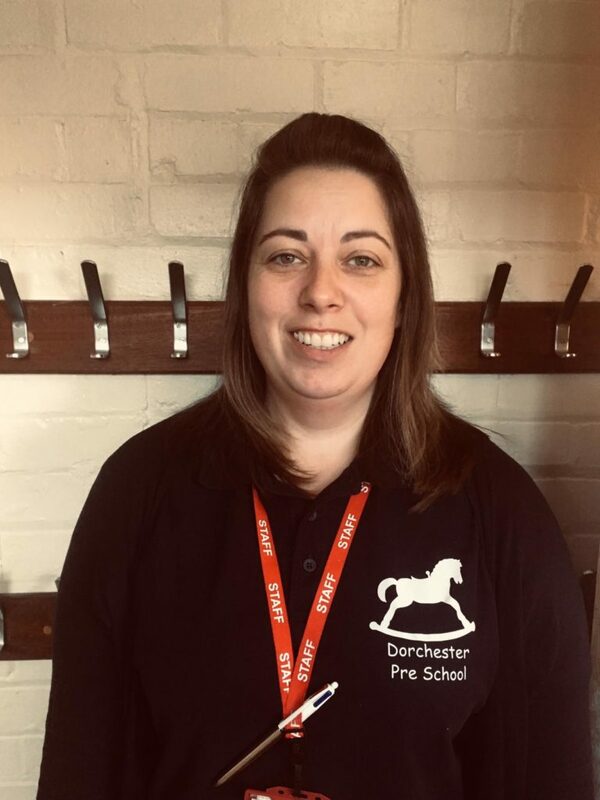 Hayley can be contacted at admin@dorchesterpreschool.co.uk. All staff & volunteer committee are DBS checked for safeguarding purposes.